“I’m afraid it’s not good news,” she says quietly, hands clasped. Your lung cancer has grown despite your recent chemotherapy. Surgery, chemo and other treatments, she believes, will only make you sicker. “How long?” asks your spouse. You may feel a surge of terror, confronted so starkly with your own death. You may also feel a welling-up of empathy. And that's the point of the exercise, the reason you're wearing a heavy headset. You're looking out through the eyes of Clay Crowder, a fictional 66-year-old man with incurable lung cancer. Maine's osteopathic medical school and a nearby hospice are using this virtual reality simulation, developed by Embodied Labs, to help nurses, other hospice workers and students learn about and empathize with patients at the ends of their lives. Researchers have discovered that virtual reality simulations — often called empathy machines -- can make viewers more empathetic to people they embody: people of different races; the colorblind; even an avatar of an older you. The United Nations has created about 20 virtual reality films, including one about a 12-year-old Syrian refugee and another profiling a Liberian woman whose family died from Ebola. Last month, Stanford University's Virtual Human Interaction Lab, which studies the link between virtual reality and empathy, found that people who embodied a homeless person were more likely to sign a petition supporting affordable housing than people who read a narrative asking them to imagine themselves homeless. In medicine, virtual reality has been used to reduce pain, help stroke victims recover, and allow doctors to plan and watch surgery. 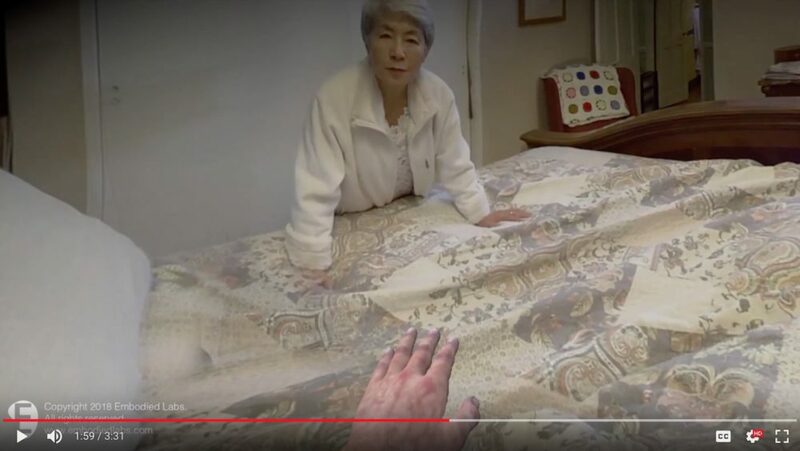 Embodied Labs is one of the first companies whose videos have allowed viewers to "experience" dying, but elsewhere, virtual reality has also been used directly with dying patients. Hospitals and hospices have fitted patients with headsets to allow them to see places on their bucket lists. At a pilot program at the Royal Trinity Hospice in London, a dying woman and her husband re-visited Venice, where they had gotten engaged. Another woman walked the beaches of the Maldives. A third returned to Jerusalem, the city where she grew up. Carrie Shaw was 19 when her mother was diagnosed with early-onset Alzheimer’s disease. Five years later, when she hired caregivers for her mother, she wanted them to understand how brain atrophy left her unable to see from the left sides of her eyes. So she covered one side of goggles with masking tape. This helped the aides understand, for instance, why her mother ate only the food on the right side of her plate. The company’s first virtual reality project was called “Alfred.” Viewers embody a 74-year-old man with hearing loss, and vision loss from macular degeneration. Next, Shaw and her colleagues created “Beatriz,” a middle-aged woman who progresses through early and advanced stages of Alzheimer’s disease. "Clay" is their newest simulation. "It's so vitally important that people not fear hospice but understand hospice," Cady of Hospice of Southern Maine said. "Virtual reality is appealing to the next generation. And if they take 30 minutes and put on the goggles and run through it and have even just a little sense of an understanding, just think of the change we might be able to make." Nguyen said "Clay" made her think more about what dying patients might comprehend as they're slipping away. "I think it will help us become more empathetic with our patients," she said. "Being able to experience the virtual reality kind of gives us an idea of what they might be going through and the frustration that comes along with it." Virtual reality may also encourage people to plan for the end of life, says Marilyn Gugliucci, director of geriatric education and research at the University of New England's College of Osteopathic Medicine. Hospice of Southern Maine's new building, expected to open in 2020, will have a simulation lab for families. "So people don't really prepare for death," Gugliucci said. 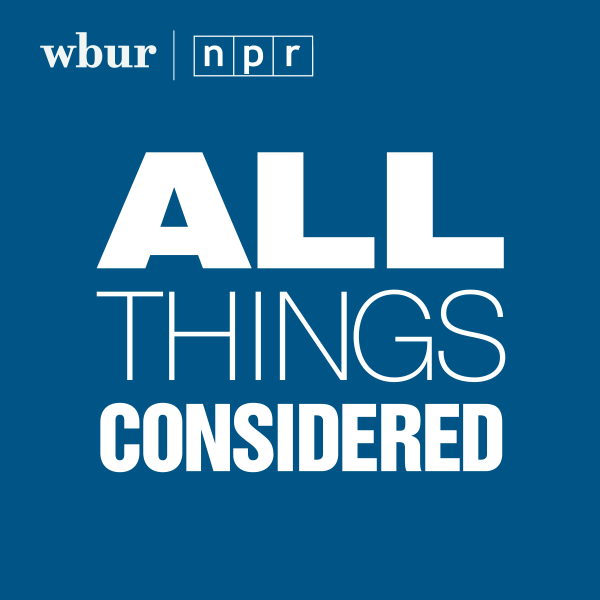 "We're trying to get more people doing advance directives and being thoughtful about what they want at the end of life, rather than being surprised by what's going to happen. I think this lab really does that." Not everyone believes that virtual reality is beneficial. Researchers already know that simulations of being disabled must be constructed carefully to avoid creating prejudice. Blindness simulations, for instance, can give a viewer the experience of initially becoming blind rather than the experience of a person who has adjusted to living with blindness. The initial experience might cause viewers to believe blind people are less capable than they are. Yale psychologist Paul Bloom has been outspoken in his criticism of virtual reality as an empathy-creator. Empathy, he argues, can be manipulated: A simulation could create empathy for a Syrian refugee — or for a man, "standing hungry in a food line," because a Syrian refugee took his job. And more research is needed on whether virtual reality creates long-term empathy gains. In the last scene of the "Clay" simulation, your breath grows raspy and uneven. One of your daughters reads to you. Your wife tells you gently that you can go. “It’s OK, honey," she says. "You’ve got your girls here." You stop breathing. Your family kisses you goodbye. Aides push a gurney with your body, covered in an American flag, outside into the sunshine. Your wife and daughters walk behind you, a final procession.